Marga Sol is an International MUSIC Producer, Composer, Singer, DJ and Label Owner (M-Sol Records), actively present on the world scene more than 13 years. Her discography counts more than 300 compositions produced, 13 albums and many single releases. 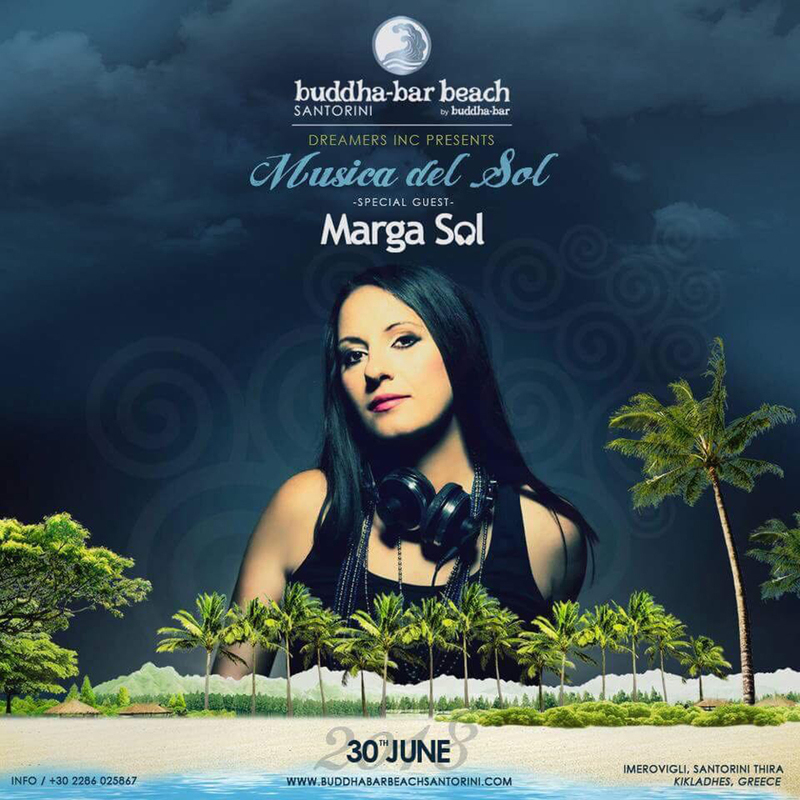 Marga Sol's music has appeared on more than 5000 compilations released by world known labels, such as: SONY Music, Ministry of Sound, Universal Music, Avril Production, Chall'O Music, George V (Buddha Bar), EMI Music, Toolroom, Housesession, Clubstar, Hotfingers etc. She is official Dj on "Ibiza Live Radio" with her famous show "Global House Session". Her mixes, along with her music is very often played also on: Buddha Bar Radio - Monte Carlo, Istanbul Radio, Costa del Mar Radio, Ibiza Beats Radio, Ibiza Global Radio and many others around the world. Her music is involved in numerous documentaries, also commercials and projects of big companies such as: Mazda, Austrian Airlines, Samsung, T-Mobile, VIP Mobile Operator, Audi, BMW (Mini Cooper events) etc.